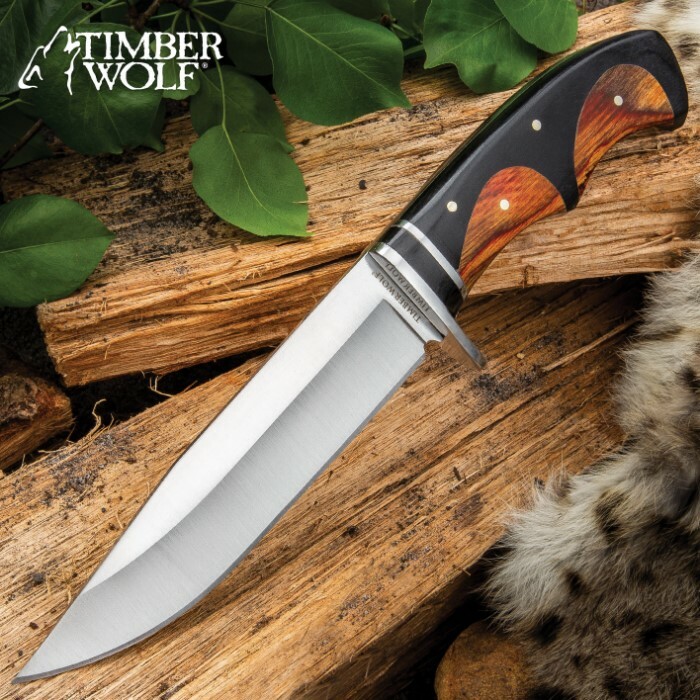 Timber Wolf Peruvian Fixed Blade Knife With Sheath - 3Cr13 Stainless Steel Blade, Wooden Handle, Stainless Steel Guard - Length 10 3/4” | BUDK.com - Knives & Swords At The Lowest Prices! The Peruvian Knife from Timber Wolf is a handsome fixed blade, which features a handle crafted of curved black and brown wood pieces separated by thin, curved lines of inlaid brass. 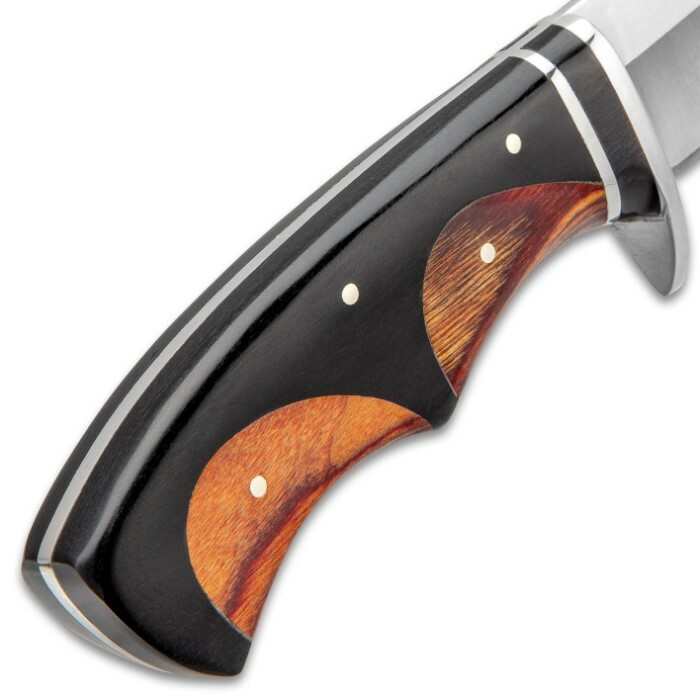 The curves of the handle, as well as being visually pleasing, also serve to provide a comfortable grip. The handle scales are secured to the full-tang with brass pins and the handle has a brass lanyard hole. The 6” razor-sharp, 3Cr13 stainless steel blade has a mirror-polished finish that extends to a stainless steel guard. 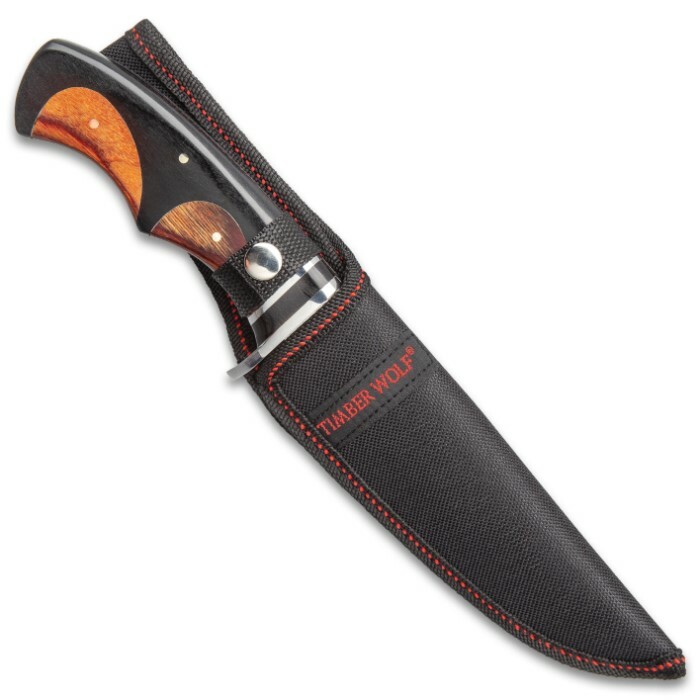 The handsome 10 3/4” overall fixed blade knife slides securely into a sturdy nylon belt sheath with a snap closure. Nice sharp, hefty beautiful knife. I look at it and hold it every day ! Thanks! 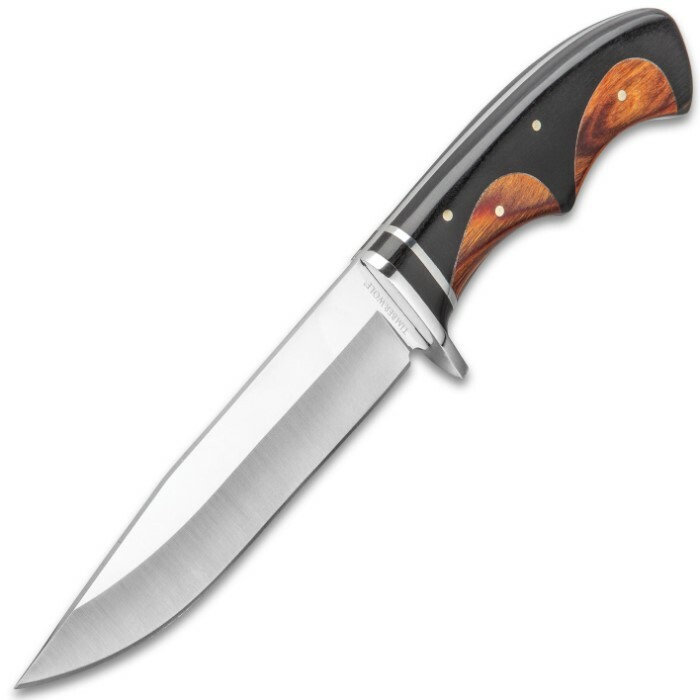 For it's price this knife is good, handle material fits well and has a great finish. The blade is clearly machine made (which is ok) and for the most part symmetrical with only minor variances (the tip on mine just ever so slightly off to one side). The important bit though is what the blade is made of, its on 3CR13 stainless which is not the best blade steel. It does not have enough carbon to really hold an edge with serious use. That being said if one is smart you're not going to really use and abuse a $13 knife and expect it to hold up like its made of adamantium. The sheath is a bit cheesy being nylon but again, its a $13 knife. All in all a nice little piece to keep around for occasional package opening and to look nice. Again, a nice knife for sale on BK, but with the nylon sheath. I would gladly pay more for a wuality leather sheath.